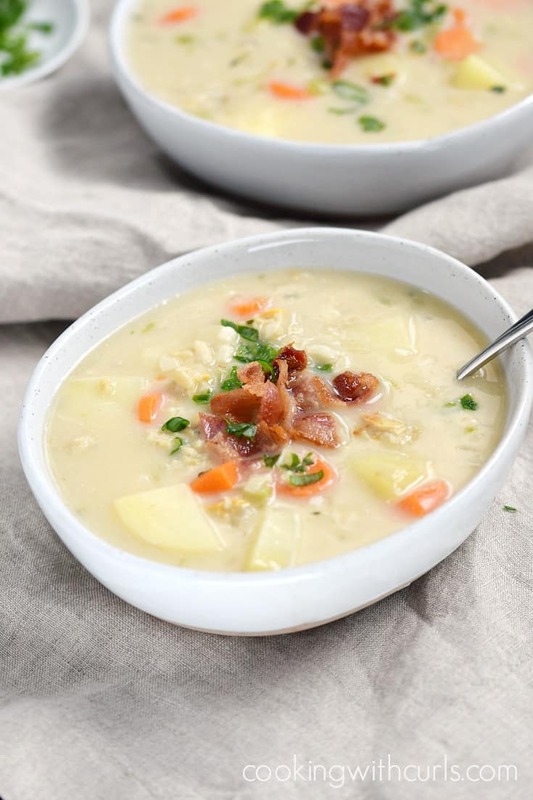 For those of you that are digging yourselves out from winter snow storms, I’m sure you are looking for a quick and easy meal to prepare that is hot and delicious. 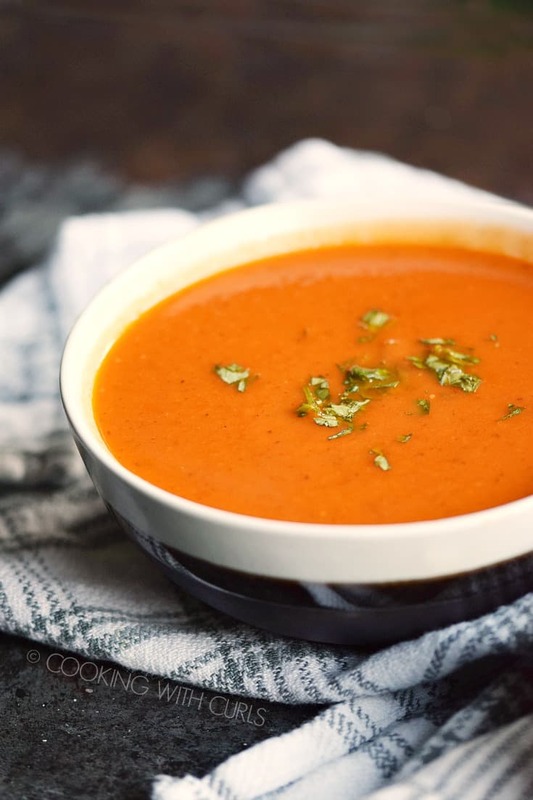 This Instant Pot Tomato Basil Soup is exactly what the doctor ordered….if I was a doctor, which I am not, so you will just have to trust me, okay? Would I steer you wrong? Of course not!! 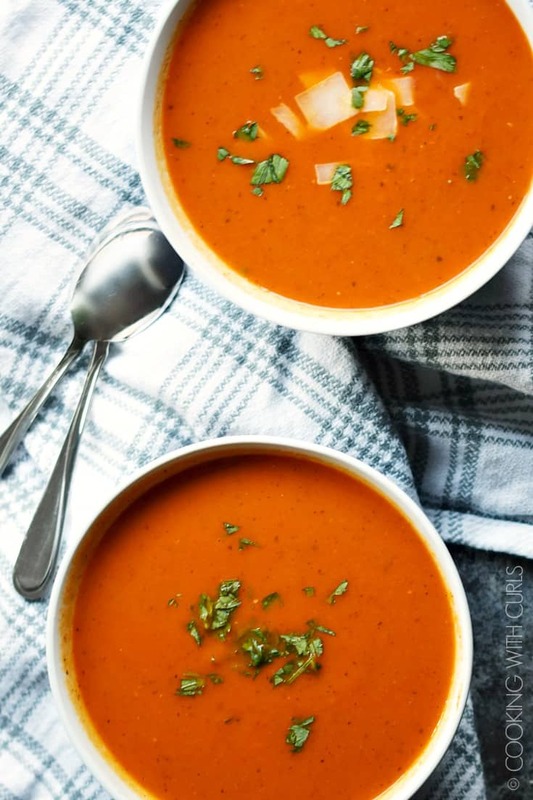 This Instant Pot Tomato Basil Soup is ridiculously easy to make, and I like it even better than the Roasted Tomato Rosemary Soup that I made a few weeks ago. 🙂 You don’t need to roast any tomatoes this time, they are already roasted for you and sealed in a can that you can keep in your pantry until a soup craving hits! 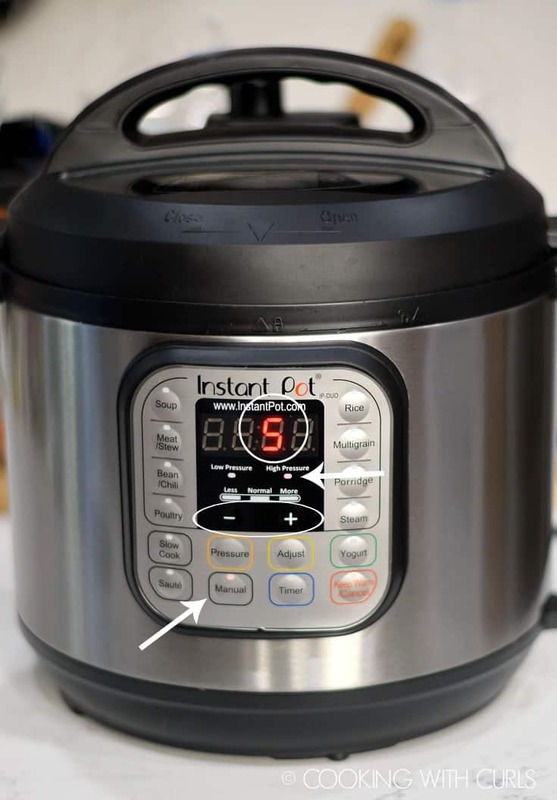 Turn on your Instant Pot and press the “Saute” button. When the inner pot is HOT, add the oil. Add the carrots and onion, and cook until they are tender…..
Add the garlic and tomato paste, cook and stir until hot and aromatic. 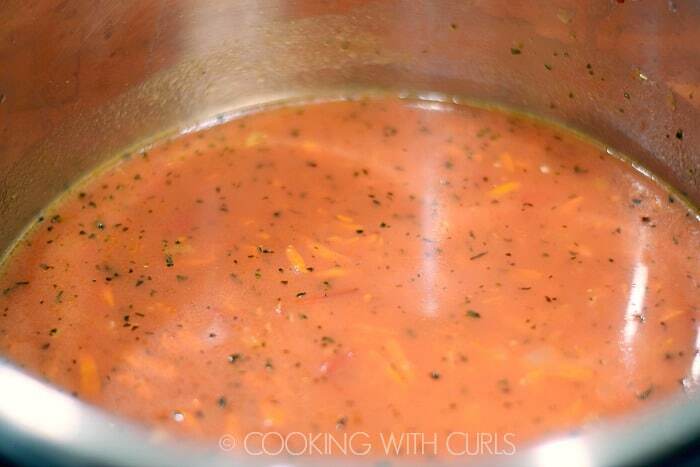 Add the chicken stock, tomatoes, basil, cayenne, and bay leaf…..
Press the “Cancel” button. Place the lid on the pressure cooker and twist to lock. Double check to make sure the venting knob is in the “Sealing” position. Press the “Manual” button, High Pressure, and use the + and – buttons to adjust the time to 5 minutes….. When the pot beeps allow the pressure to release Naturally, it will take about 10 minutes. Remove the lid and then remove the bay leaf. Use an immersion blender to puree until smooth….. 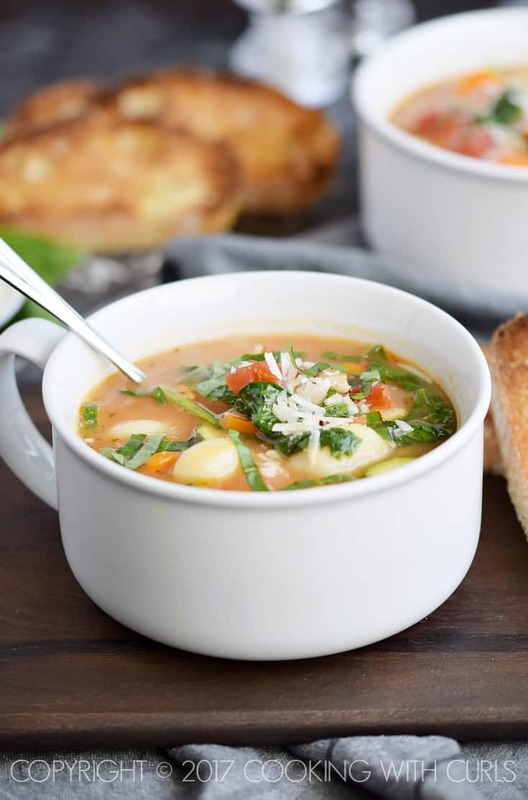 Adjust seasonings, then ladle soup into bowls and garnish with chopped basil….. I use an Immersion/Stick/Hand Blender like this one. If you do not have an immersion blender, you can blend your soup in batches using a blender. Be careful, it is VERY HOT!! 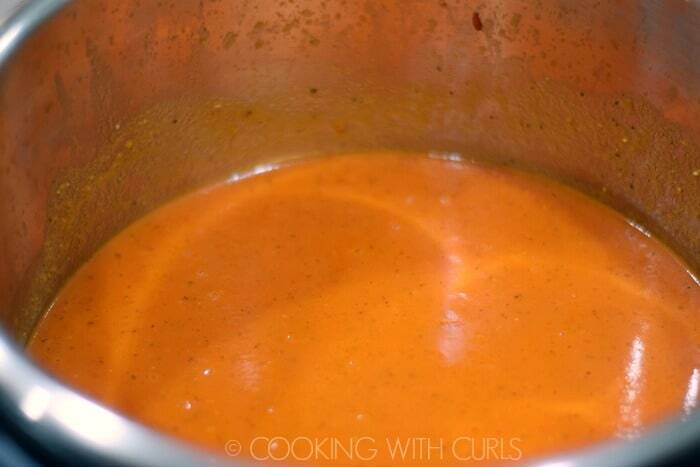 For extra creamy Instant Pot Tomato Basil Soup, add cream before serving. 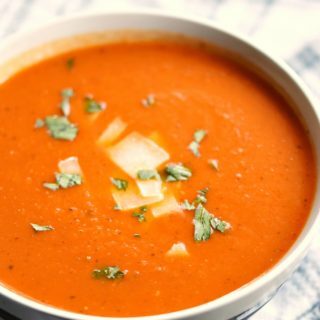 If you do not have an Instant Pot, follow the stove-top directions in the Roasted Tomato Rosemary Soup post. This recipe is made using a 6 quart Instant Pot. For a vegan soup, substitute vegetable stock for the chicken stock. 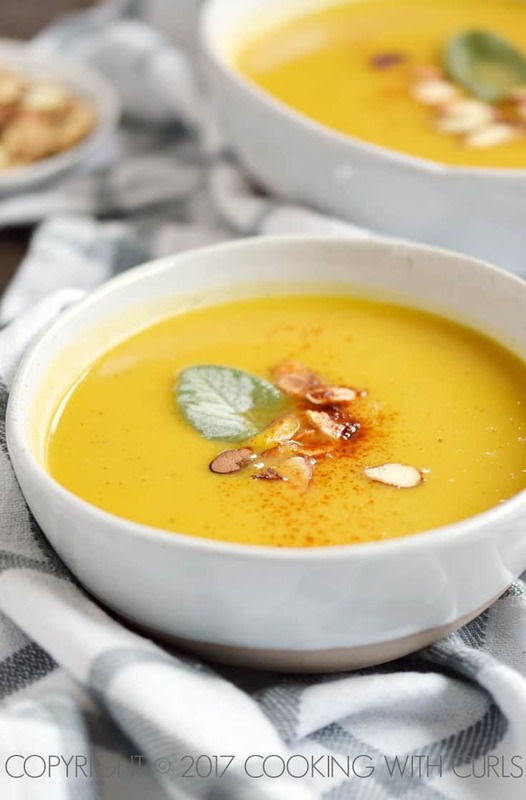 Some other excellent soup choices are…..
For even more ideas for Whole 30, Instant Pot, or Soups, just click on the Recipe tab at the top of the page and click on the appropriate heading. 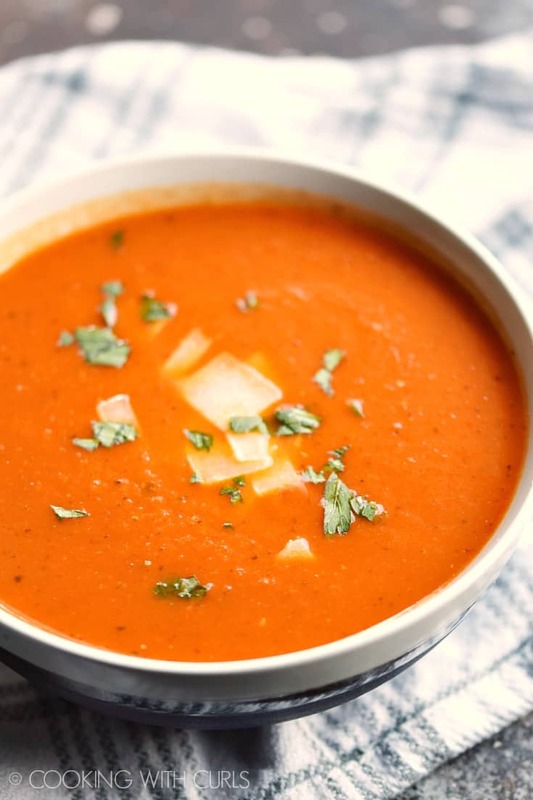 This Instant Pot Tomato Basil Soup is a quick and easy meal to prepare any night of the week! It is also Whole 30 and Paleo compliant for health conscience families. Turn on your Instant Pot and press the “Saute” button. When the inner pot is HOT, add the oil. 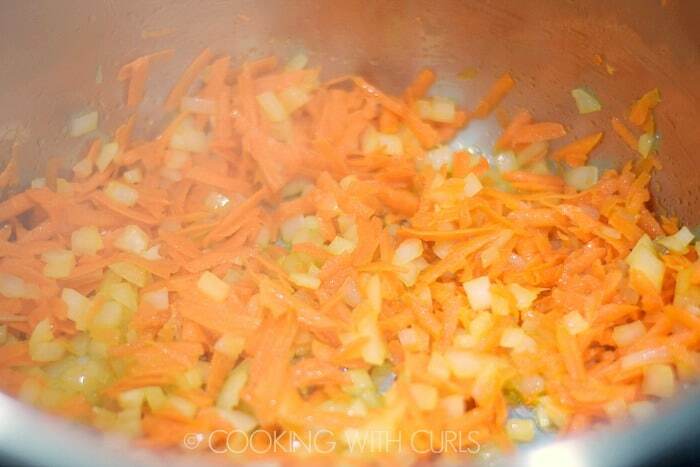 Add the carrots and onion, and cook until they are tender. Add the chicken stock, tomatoes, basil, cayenne, and bay leaf. Press the “Manual” button, High Pressure, and use the + and – buttons to adjust the time to 5 minutes. Remove the lid and then remove the bay leaf. Use an immersion blender to puree until smooth. Adjust seasonings, then ladle soup into bowls and garnish with chopped basil.